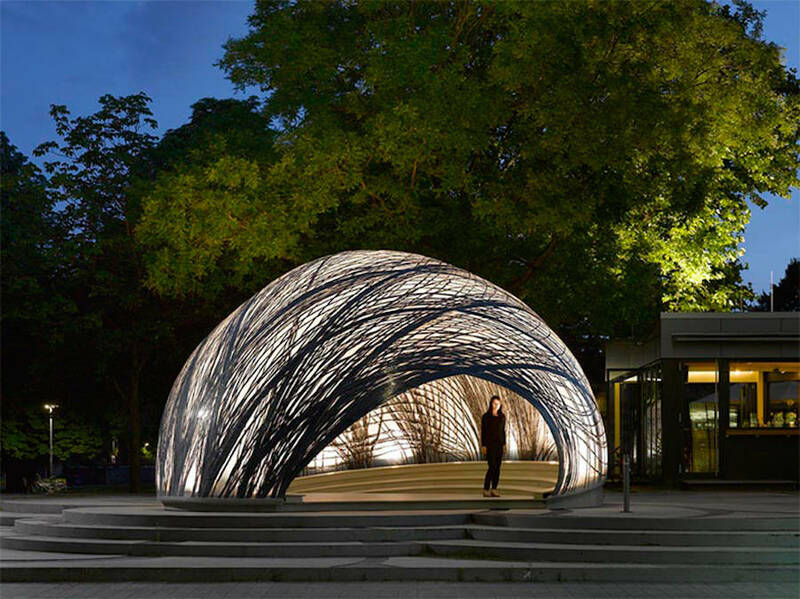 The Institute for Computational Design (ICD) and the Institute of Building Structures and Structural Design (ITKE) continues to install pavilions and follow their research at the Stuttgart University. 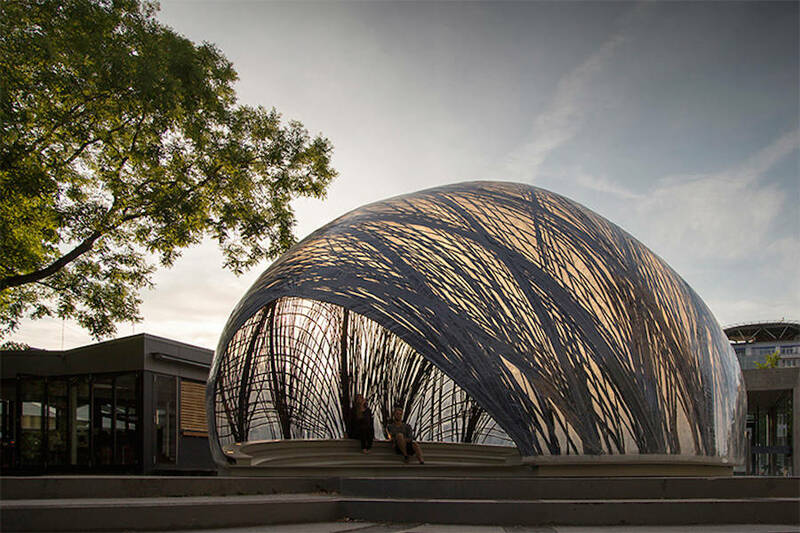 The building method is based, this time, on the skeleton of an water spider’s nest called Argyroneta aquatica. 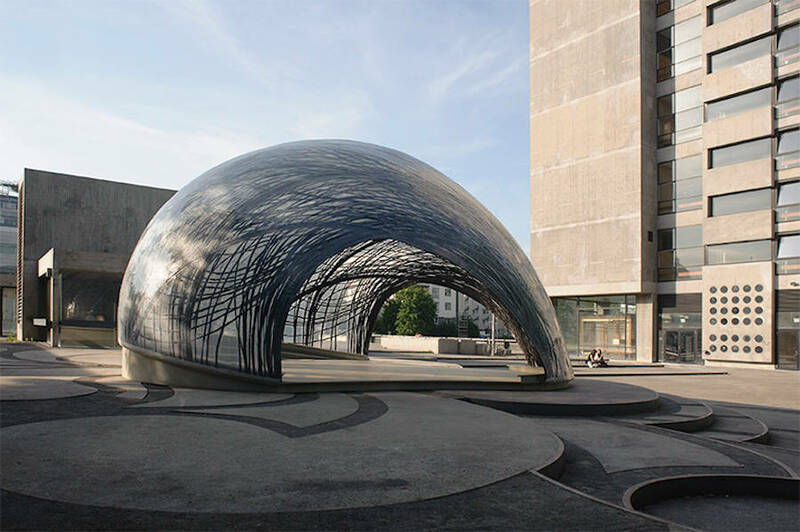 To survive, it builds water bubbles ; it’s the same of this installation shaped like a bubble. 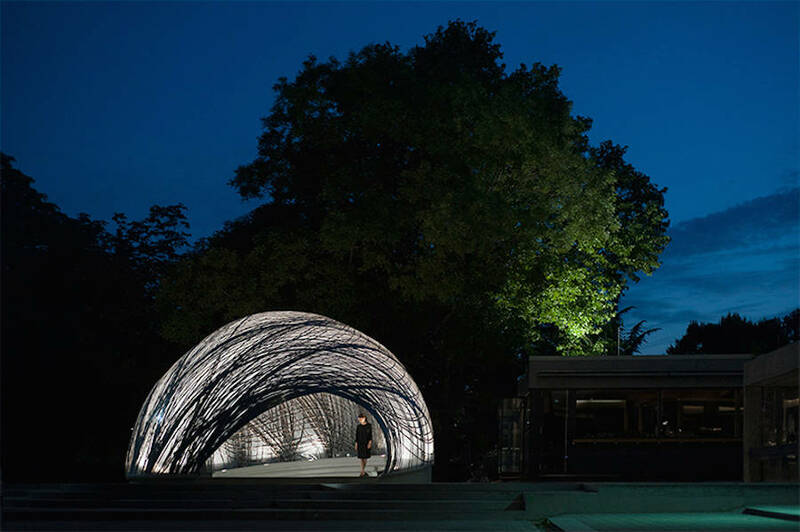 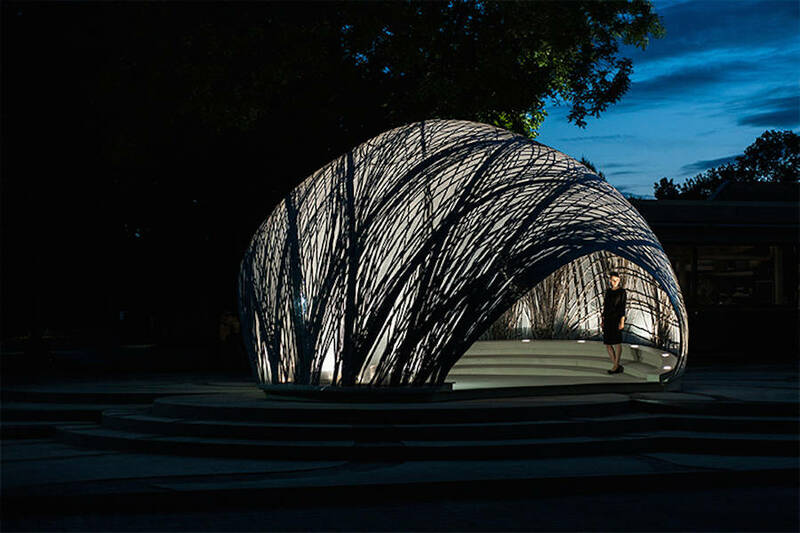 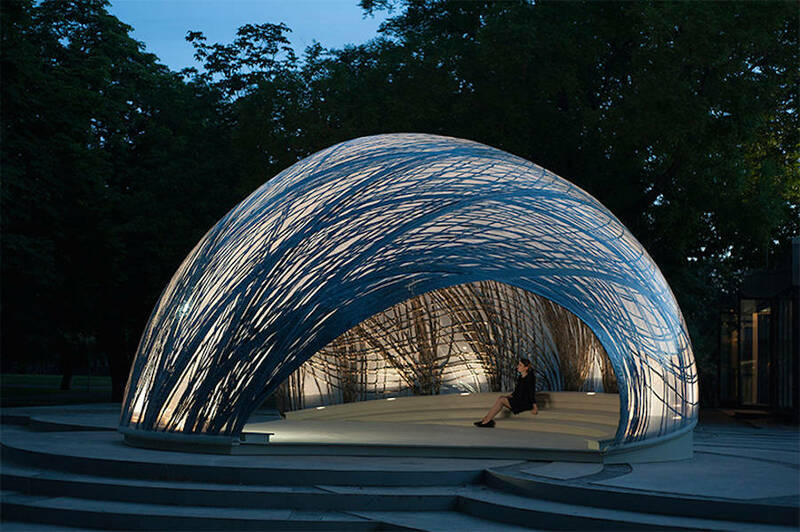 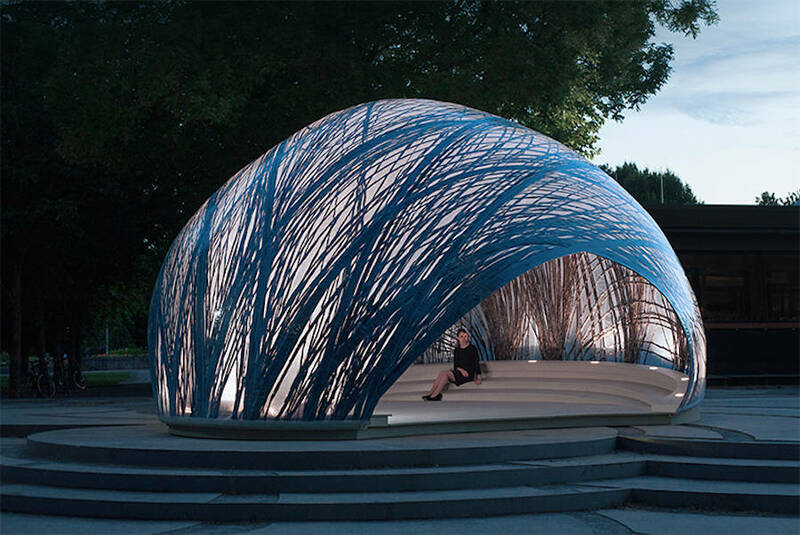 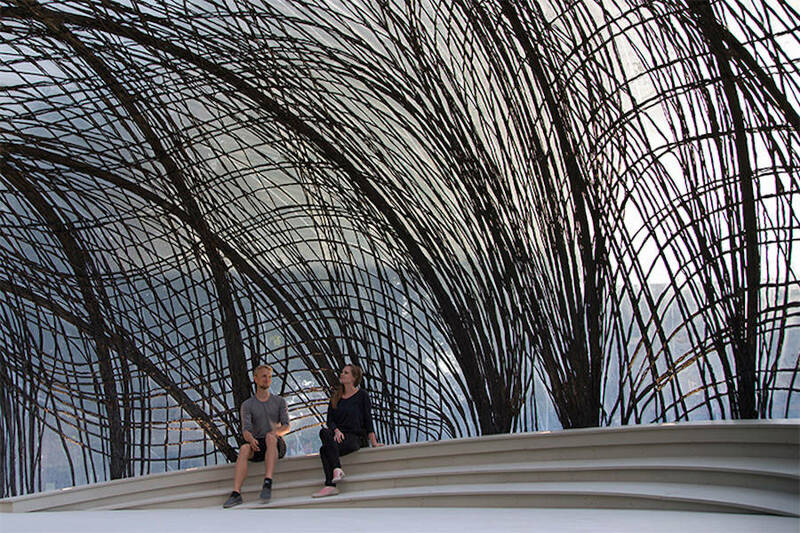 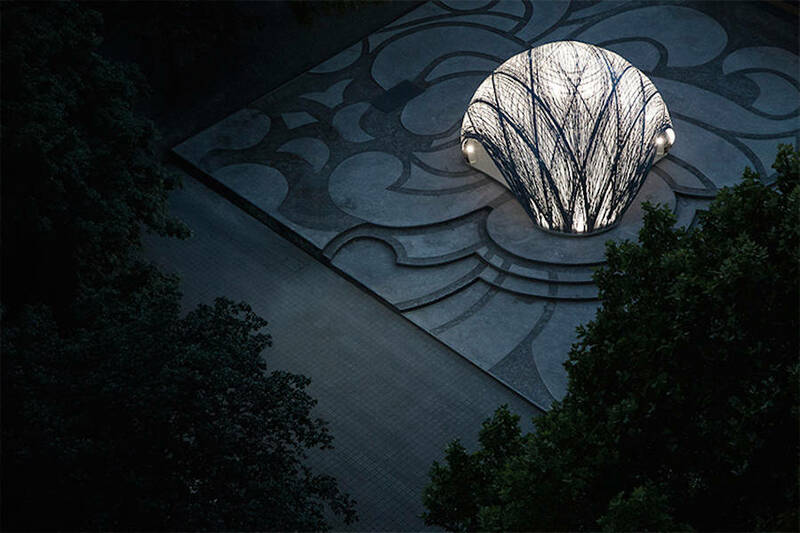 The pavilion was made from carbon fiber, thanks to an industrial robot, in order to obtain a solid structure.